When the Canadian researcher Julien S. Bourrelle moved to Norway, he experienced a culture that was difficult to interpret. Now he helps foreigners to analyze Norwegians and has written “The Social Guidebook to Norway – An Illustrated Introduction”. Bourrelle has lived in Spain, Germany, Australia and New Zealand. Five years ago he moved to Norway to take a doctorate at the Norwegian University of Science and Technology in Trondheim. – Norway was a bit of a challenge. Every time I have moved country I have sort of adapted my lifestyle to the different country. I tried to do this in Norway, and I realized that it would take a little bit more time than it would take in the other countries, says Bourrelle in a Norwegian Broadcasting Corporation (NRK) interview. 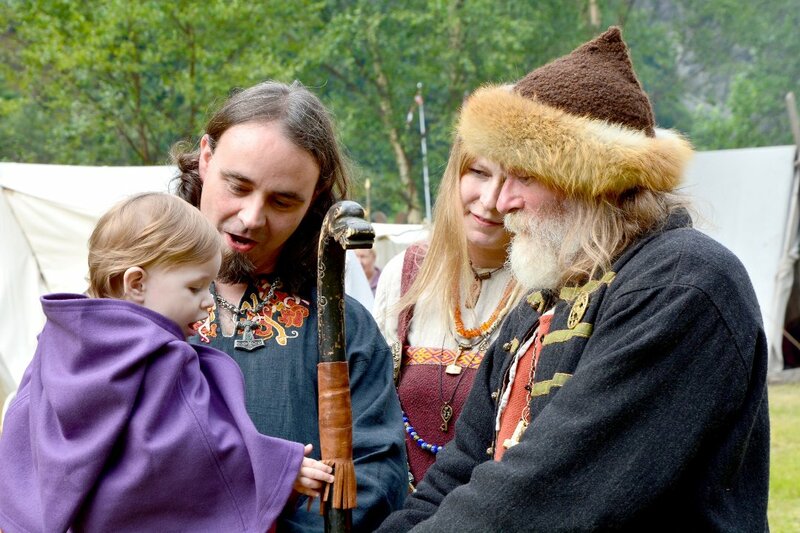 He found it difficult to understand Norwegians and struggled to break through the cultural barriers. Instead of giving up, he decided to observe and analyze the people. 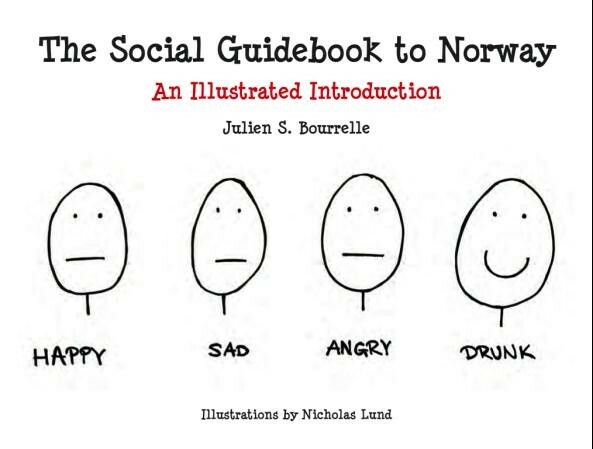 In the illustrated guidebook, Julian and illustrator Nicholas Lund is helping foreigners understand Norwegian behaviors. In an entertaining way, the book gives first-hand insight into this complex culture. Bourrelle has also analyzed Norwegians’ love life. – In most countries around the world, when you meet a woman you like, you say “hi”. Then you invite her for a date, and if that works well, then you invite her for a second date, and if that works well, you invite for dinner – and if that works well, then maybe something else happens (horizontally), he says in the interview. However, in Norway it works differently. 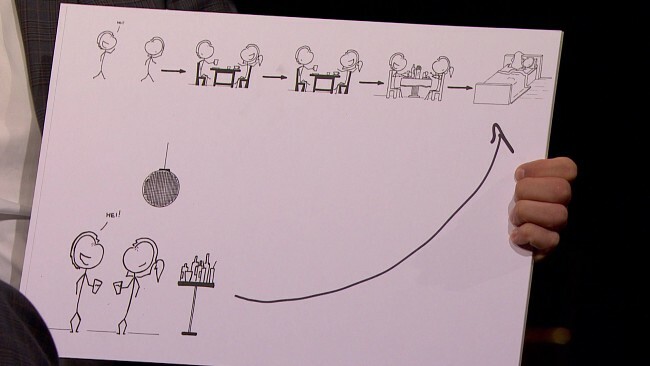 Bourelle explains that it starts in a bar, and then it is a fast forward process to end up in bed. If you wake up the next morning and the person is still next to you, you say “maybe we can go for a date”. If that works well, then you may end up in the same bed again. And if that works well, and only then, you can say “hi” if you meet her in the hallway. And then you go for a second date, and then you go for a dinner, because dinners in Norway is not a meaningful way to get to know people, it is a result of an established relationship. Julien is also asked if he thinks Norwegians are impolite. – A lot of people would come to Norway and the comments they would have is that they are not that polite, or a bit rude, but I do not believe so. I believe it depends on how you interpret it. You may not greet everyone when you come at work in the morning (…). In Norway it is more effective, but politeness is much more about not disturbing. Apparently, Norwegians are also extremely effective when they have had a few drinks in a bar..
Norwegian dating seems very amusing but also makes sense. I’m part norwegian by birth ( have never even been there yet) and i kinda think it’s good to sleep together as soon as possible as it is the most important aspect of finding out if your chemistry works or not ?! Cut to the chase ! Very funny slice of Norwegian life. Also found Norwegians I’ve met a bit quiet at first, unless they’re drunk and then they are very funny and entertaining. I have Norwegian friends, but none of them are like that!!! LOL!!! I found in Norway amazing friendships (not ending in the bed), a lot of warmth with the people I met and I had never found this in my homeland (France), and the wonderful norwegian rules: “my friend is your friend” which led to the next friendships (without getting drunk), and after so many years, I am still in contact with them! So, sorry to disagree, but I have a better experience with Norwegians! LOVE THEM!